This program can also be used during retreats, for 7 days, 33 days or more. Receive Timely wisdom, insights, knowledge & tools to help you awaken to your Greater Potential and live the LOVE that is meant for you! Today you have the opportunity to release the pain, fears, and doubts of the past, to open your heart fully and live the LOVE that is meant for you. During the seminar, healing will be flowing to assist you to step free of the pain. That has kept your heart shut down, barricaded, or blocked. Find out why LOVE is the Essence that is Transforming our World and how millions of people are awakening to this higher consciousness that is changing life on Earth as we know it, heralding in a bright future for us all. In this audio, Dr. Ariel unveils the 7 Step Self Healing process she developed that can help you quickly resolve every issue, heal every pattern, change every challenge and emerge from every situation victorious. Gently, she guides you through the 7 steps in a healing journey of self discovery, self empowerment and self actualization. As you journal your inner process, you gain greater insights, revelations, understanding and compassion for yourself and others. Self judgments fall away as well as misconceptions and misunderstandings. 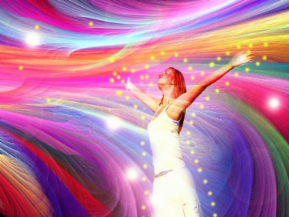 You emerge feeling empowered, clear and directed, a whole piece to your inner patterning resolved. "This audio is the breakthrough many have been waiting for, giving people a way to heal their lives in the privacy of their homes with tools they can use for life." This healing activation includes the restoring of LOVE as the divine Intention for humanity as twin souls are reunited throughout the earth. Each person receiving this initiation of love Is given a special realignment of their Inner male and female allowing a greater receptivity to the frequencies of LOVE and a greater ability to draw in a higher mate.Twin souls destined to be together will have inner and outer blocks cleared, frequencies raised, DNA activated, and a realignment to LOVE. Each soul across the earth open for this gift will know a greater promise in LOVE and have the ability to initiate the changes within that will allow the outer relationship they were destined for in this time. Profound healing can take place as you experience these Sacred Healing Journeys by Aurora Juliana Ariel, Bruce BecVar and Krystofer Gabriel. Sequenced to perfection, the masterful weave of exquisite melodies with exotic vocals bring Peace to the mind, Rejuvenation to the body and Inspiration to the soul, the optimum experience in Regeneration. In this groundbreaking book, Dr. Ariel unveils her breakthrough Healing System, the 7 Master Keys to Inner Peace, and a powerful Life Mastery Path. She demystifies the psyche like no other work has done and provides tools to quickly resolve issues, restore harmony in relationships, master your psychology, and heal the scars from your painful past. Through years of pioneering work in the uncharted realms of the psyche, she made many landmark discoveries, uncovered the cause of suffering, and developed a cure that could change the destiny of the planet. Distilled into seven powerful steps, TheQuest is designed to accelerate a personal and planetary transformation that could help end suffering on Earth. Inspiring a Journey of Self Discovery that is empowering and life changing, TheQuest unlocks the Secret Code to your True Identity and provides a Key to Actualizing your Full Potential. 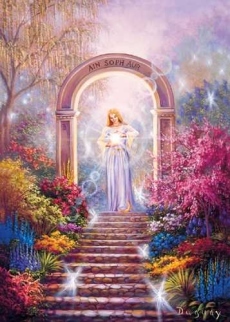 Message From Mother Mary: In this Sacred Healing Transference, I bring forth a gift of the Rose Light of Love from realms where eternal glories are known. As you listen, rose petals from the Heart of God will enfold you in the Ray of Love. These petals hold a sweet fragrance and essence of the Heaven Realms. They are a gift of love from my heart, bringing you the comfort of the Divine Mother, quickening your memory and attuning you to the Heaven Realms from which you have come, that you may remember your true reality, that you are a soul who has journeyed forth from the Realms of Light into this earthly realm for a Holy Purpose. Each time you listen to my message, you can drink in their fragrance and know the harmony in these blessed realms that know only light, tranquility and peace, and which are yet to be remembered and reclaimed as you walk your earthly path.